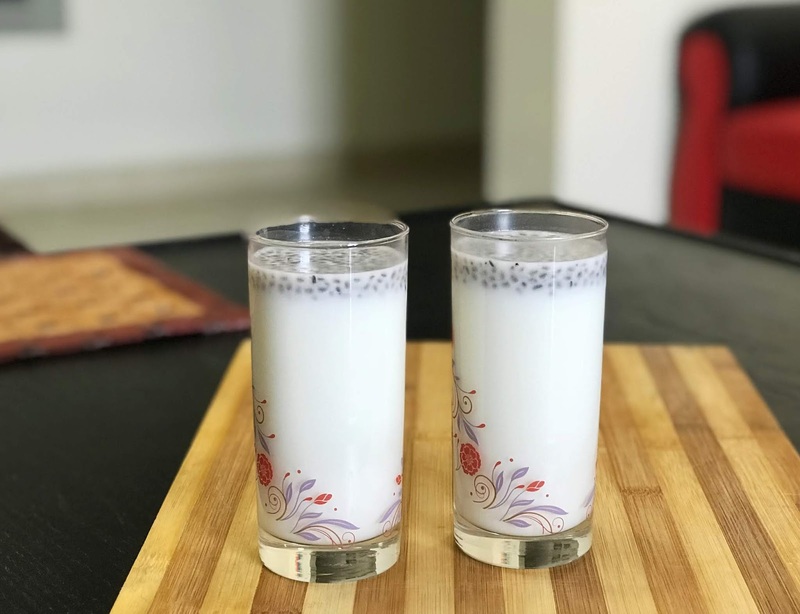 Here is an extremely easy drink using milk powder to serve your guests. Instead of fresh juices or crazy sweet drinks, I prefer such quick and instant drink recipes when I have to serve a crowd. The ingredient s required for making this drink is common in everyone's pantry shelf. So it is very easy to make this drink even we are in a hurry. No need for peeling fruits or making a mess in the kitchen. I got good reviews for this drink a couple of times. 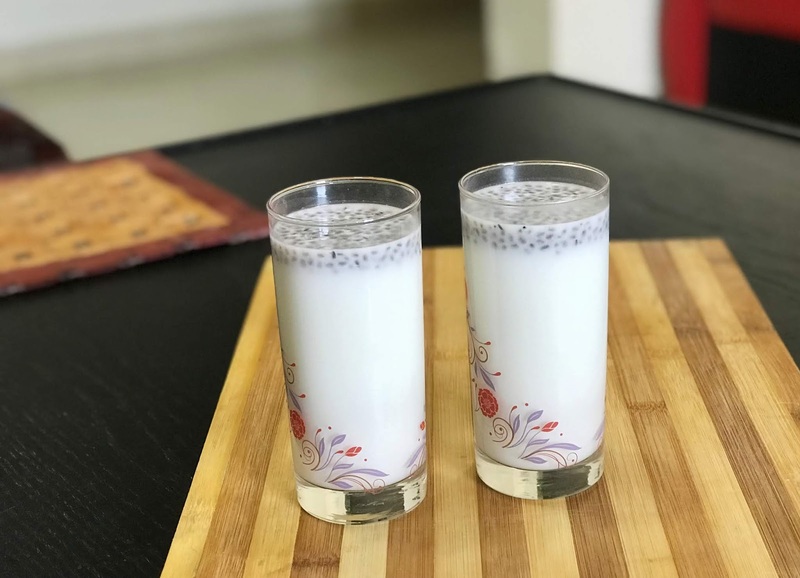 You can also prepare this drink using fresh milk or coconut milk instead of using milk powder. Moreover, you can change the color of this drink using pista essence or strawberry essence ( rose essence). Soak the sabja seeds in some water for a minute or two. You can use black kuskus instead of sabja seeds. Blend together water, milk powder, sugar, and cardamom. Once done, pass this drink through a strainer. 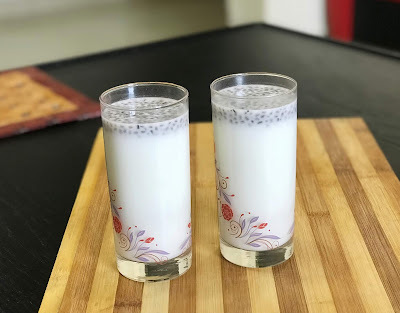 Add the soaked sabja seeds to the serving glasses and then pour the drink.